Valenzuela City will be marking its annual foundation day anniversary this coming Monday, November 12. Malacanang made the announcement through Proclamation 498, signed by Executive Secretary Paquito Ochoa last November 7 (click here to read the full text of Proclamation 498). Because of the celebration of Araw ng Valenzuela, residents of the said Metro Manila city will have the first of their two long weekends this month – the other one is national hero’s Andres Bonifacio’s 149th birth anniversary on November 30. November 12, however, does not seem to have any significance for the city. According to the website of Valenzuela City government, the said Metro Manila city recognizes November 7 as its historical birthday. Valenzuela was once just a small town named Polo during the 17th century. The first parochial signature recognizing Polo’s township is dated November 7, 1621. 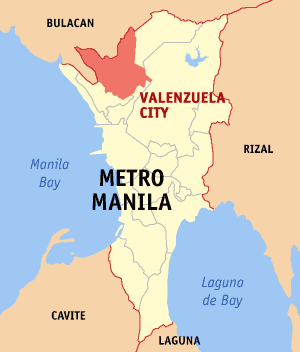 In November 7, 1975, Valenzuela became independent from the province of Bulacan. Valenzuela celebrates the anniversary of its cityhood every February 14. President Fidel V. Ramos signed Republic Act 8526, which converted Valenzuela into a highly urbanized city, in February 14, 1998.